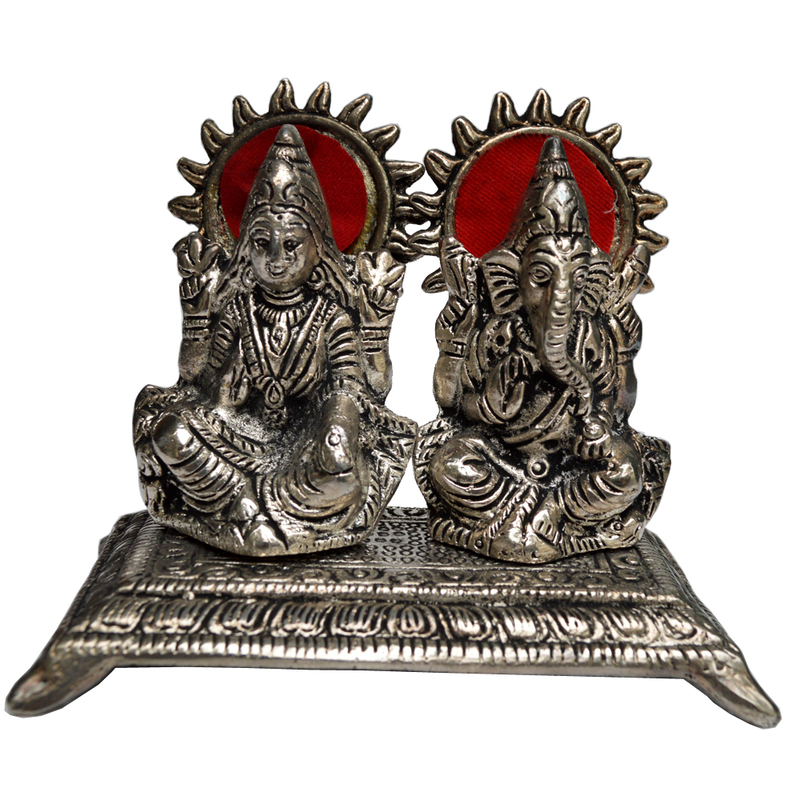 This Twin Laxmi Ganesh Idols in Oxidized Metal offers the perfect opportunity to usher in peace and prosperity to any household by bringing in the Read More..idols of the Goddess of Wealth and the God of Prosperity. The intricately carved idols in oxidized metal are sure to bring in a deep feeling of devotion among the numerous ardent believers, while adding to the charm of any household they this set adorns. They can be the perfect addition to any home with an inclination towards bolstering the positive energy for the inhabitants. Show Less..